STAMFORD, Conn. — A small urban farm on Stillwater Avenue in Stamford’s West Side is bringing better health to the land, to the volunteers who work there, and to the neighborhood where it’s located. Established in 2011, Fairgate Farm – part of the Vita Health & Wellness District – is entering its fourth growing season. Under the leadership of Bill Callion, who has managed the farm since the beginning, and Maxon Keating, who oversees production, Fairgate Farm is celebrating Earth Day with an interactive, educational program about earth worms for children at Childcare Learning Centers in Stamford and a volunteer afternoon clean-up/season kickoff. Earth worms are helpful because they create natural fertilizer that reduces the need for irrigation of crops by about half. Committed to organic farming practices, Fairgate Farm has recently purchased a couple of worm farms to boost its own worm population and production of natural, nutrient-rich compost, according to Callion. It helps that small children are fascinated by squirmy creatures, he added, so the worm farms provide a highly engaging way to educate them about farming. 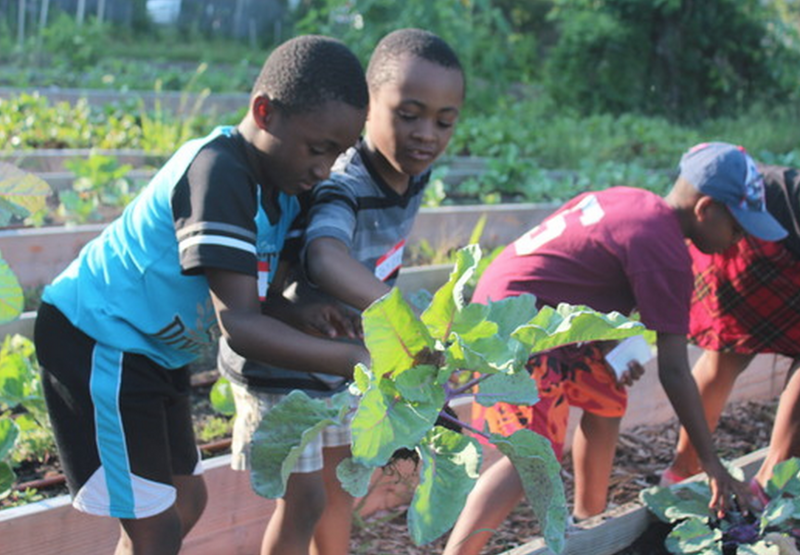 A key focus at the Farm is to serve as a learning lab where kids can get hands-on experience. The Farm hosts groups from schools and community agencies throughout the year and offers a jam-packed schedule of free community events and activities (go here to view). The goal is to boost awareness of the importance of eating more nutritious fruits and vegetables – which is a key initiative of the Vita Health & Wellness District, a partnership of Charter Oak Communities, Stamford Hospital and the City of Stamford that is focused on improving the health of West Side residents in conjunction with the construction of the new hospital in the neighborhood. On April 22, the Farm, located at 129 Stillwater Ave., will host an open house from 3 to 6 p.m.
Fairgate is also recruiting volunteers for the spring and summer season and regularly hosts open volunteer hours (Mondays through Thursdays from 8:30 to 11 a.m.; Wednesdays from 3 to 6 p.m.; and Saturdays from 8 to 10 a.m.). To learn more or to sign up, send an email to FairgateFarm@gmail.com.